Connect to Your Extrasensory Self! It’s finally here! The highly anticipated, unique, and intricate online writing class, packed with tools and exercises to help you expand the awareness and use of your extrasensory abilities. The purpose of tapping into these gifts is not to feel “superhuman;” We do it to open-up to who and what we truly are. By expanding our consciousness, we widen the possibilities of new and heightened states of awareness and growth. Ultimately, the goal is always to connect to your inner kingdom – the Kingdom of God that exists within you at all times, always waiting for your active participation. 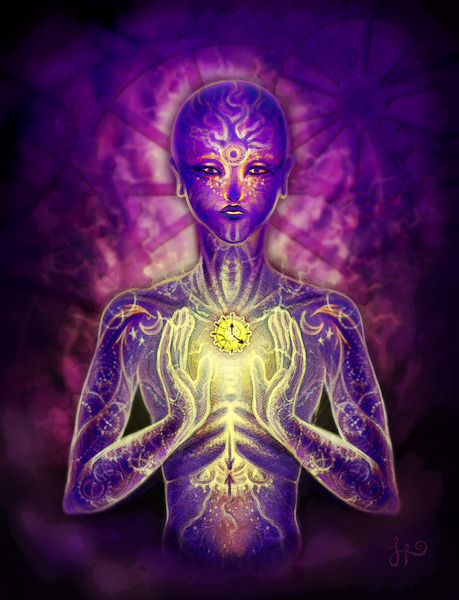 Tuning-in to your inner world is your key to true and everlasting peace. I am so glad to finally be able to offer this course and share with you how writing can open-up the channels to deeper awareness of your inner-world! This three week online workshop is only $22! Space is limited so sign-up today! You will receive daily feedback/interaction with Amanda on our online private Facebook forum. Make sure the email you register with is connected to your Facebook account so we can add you to the class. **All workshops are conducted online, giving you the flexibility to participate on your own schedule.**. To register for Writing to Heal and Connect with Your Multidimensional Self, click here. “It’s been such a pleasure participating in this “experimental” course with you and those of the Elven realm. Thank YOU for offering such an enriching experience to connect with the elemental realm and of course, our hearts! I am especially grateful for the complimentary intuitive reading you provided. Your insights were genuine, heart-centered, and thorough enough for me to delve deeper within and understand myself better. It was just what I needed for my own healing and growth. So, many, many thanks! That being said, the writing meditations themselves were most enriching. This is the first time in a long time that I’ve explored my own subconscious in this way so at first, it was difficult for me to accept what was coming through as beneficial and authentic…I also felt like I really got to know and feel the Elven realm. It became “real” to me. I think I’ve found a lifelong friend/guide through these meditations and I feel much more comfortable interacting with this realm. Since beginning these meditations and talking with you, so much has been coming to the surface to be healed…barriers that I had no idea were there. In short, I feel that the whole experience has been enriching, valuable, and just awesome. You are lovely, thank you! Jackie W.
“This last writing meditation was intense! My body was actually shaking a little. After the meditation I was on cloud nine. I felt really heady and spacey. The walk home was grounding thank goodness. It’s funny how a lot of things in my life seem to be put into perspective now. I feel so much a better about the “problems” I had before. This feels AMAZING!” Justin L.
“…I was shocked at how quickly and clearly words went down on paper. I was surprised at how many things I could write about a tree… I was truly blown away by my #2 meditation, and very pleased with myself and appreciative for Amanda’s guidance.” Laurie M.
“Through the ‘Writing to Connect with the Elves’ class I have been able to get a lot of healing. Amanda has a keen sensitivity to energies and knows how to bring them out through the writing process via her ‘writing meditations.’ The meditations are a great way to empower and awaken humanity through our own healing process. It’s truly remarkable how this class has helped me in healing deep wounds that I wasn’t aware of until they were brought back up by the meditations. Being able to heal them has been a true gift for my life. Sometimes we act according to beliefs that are based on things from our past, once these beliefs are challenged we are able to emerge into who we really are, our past does not determine our future and we can change the patters of thought and behaviour if we are willing to open up the doors by stepping into the pain and healing it once and for all. I am very greatfull for the effort that Amanda has put into the class and how she’s helping to bring conscious awareness to humanity.” Joanna S.
”I have taken several classes with the goddess Amanda Flaker and it is a transformative experience! I highly recommend taking a class with her if you can, and this one is EPIC!!!! !” Poly P.